Aguaclara one of our favourite designer swimwear and beachwear brands stocked at Honeys has been featured on The Only Way Is Essex, the TOWIE girls Lucy Mecklenburgh, Chloe Sims modelled Aguaclara swimwear for the opening of Jessica Wright’s boutique. Dino Georgiades modelled Waxx briefs another favourite in Honeys high street lingerie boutique in Henley In Arden, in the fashion show on last week’s episode. The Only Way Is Essex girls wore Aguaclara Safari bikini, Aguaclara Savanah cut away swimsuit, Playa Mediterranea Bandeau Bikini and Aguaclara Paraiso Terrenal White Bandeau Bikini the TOWIE girls looked stunning in Aguaclara’s collections and we are sure they will look even more fabulous on their next trip to Marbella! If you missed the episode click here. We are so excited at the boutique this week! 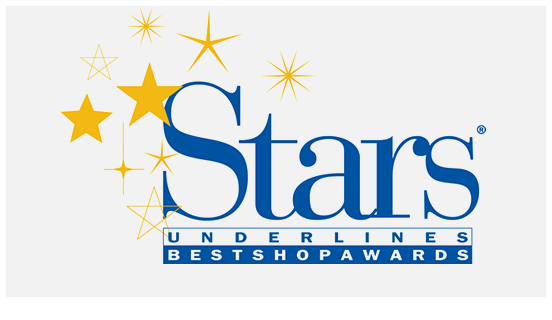 our gorgeous Designer Lingerie and Swimwear Boutique has made the finals in “STARS” Underlines Best Shop Awards aimed to acknowledge the importance of independent retailers to be held at the Cumberland Hotel on the 10th of November. Honeys Lingerie Boutique is one of only 62 finalists across 7 categories of shop; with over 340 nominated lingerie shops we are delighted our lingerie Boutique has reached the final for the Best Concept Shop category. Here at Honeys we pride ourselves that our exquisite choice of the best designer lingerie, nightwear and swimwear stocking over 40 brands and our warm welcome and excellent customer service. Honeys lingerie boutique in Henley In Arden has become a destination shop for customers looking for something special whether it be exclusive lingerie, designer nightwear or designer swimwear you are always assured of a stunning choice and a warm welcome at the boutique. The Boutique Staff would like to take this opportunity to thank our loyal customers for your continued support.